It always feels more convenient, more easier, more “my favorite” sort of feeling to have a favorite contact right on your home screen. Swipe and make a call, and ta da! 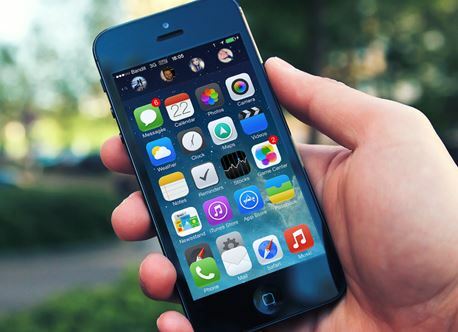 If you have also dreamt of having that one favorite contact number (or even more – although we don’t recommend calling just too many people too much) right on your iPhone’s homescreen, we have found just the right iOS 7 jailbreak tweak to help you do it! Relevant read: Add Customized Fifth Keyboard Row with iOS 7 Keyboard Jailbreak Tweak! Developed by DarkMalloc, the QuickContacts iOS 7 jailbreak contact tweak lets you access your favorite contacts right from your iPhone’s home screen. No more going to the app and searching for the contact number. Make a call right the next second of planning to do so! QuickContacts iOS 7 jailbreak contact tweak is a very simple and well designed tweak with no cluttering. Swipe down, and your favorite contacts will be right there waiting for you to make a call, send a message or even send an email. You can get QuickContacts iOS 7 jailbreak contact tweak from Cydia for $1.99 in the BigBoss repo. As expected, the jailbreak tweak is only compatible with iPhones powered by iOS 7. Minimalist design, easy access, convenient functions; this tweak is already in the favorite lists of many a iOS 7 jailbreaking community members.